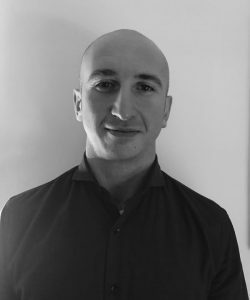 Nima Khorrami is research associate at the Arctic Institute. Sweden’s counter- and de-radicalization strategy is rooted in past attempts to deal with far-right and far-left movements, based on the assumption that extremism facilitates, and frequently leads to, violent, politically-motivated acts. Radicalism, in turn, is assumed to be caused by socio-economic segregation, poverty, lack of integration, unstable home environments, and discriminatory or racist practices by the native population, with these factors occurring in various combinations, intertwining, and feeding on one-another to create existential distress. Its objectives, moreover, are threefold — prevent, preempt, and protect — pursued on three interconnected and centrally coordinated layers — local, regional, and national — by a wide group of institutions, governmental and nongovernmental actors, including the police and intelligence forces, educators and teachers, community volunteers and/or activists, and civil society organisations. The entire strategy, finally, runs on three fronts: criminological, pedagogical, and intra-Nordic cooperation. 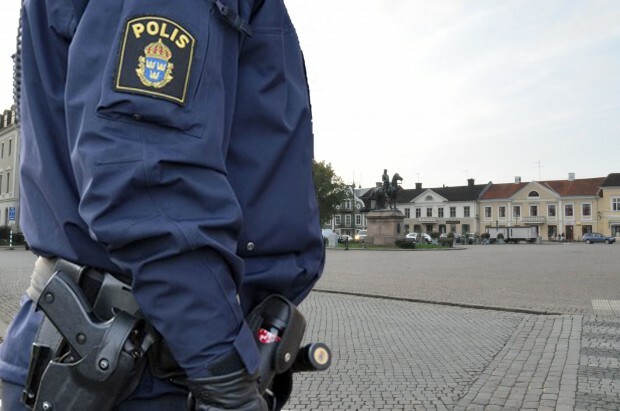 Similar to its Nordic counterparts and some other European countries, Sweden has introduced a series of new policies and measures aimed at preventing violent extremism (PVE) since the mid-2000s. Given its long history of effective crime prevention (CP), evident in having one of the lowest homicide rates which is amongst the lowest within the Organisation for Economic Co-operation and Development (OECD), Swedish PVE draws heavily from the country’s experience and expertise in violent CP, even though the government formally treats the frameworks for crime and violent extremism separately. This is due to the fact that there are important overlaps between criminality and extremism and the concerned ministries and agencies can both streamline their work and gain a more comprehensive understanding of underlying causes and catalysts for extremism by studying the transitional belt between the two. Beside the well-known prison-extremism nexus, practitioners and analysts in Sweden generally see individuals with a criminal past as more prone to acts of religiously-inspired violent extremism as a form of redemption from their past sins. Tactical co-operation between criminal syndicates and extremist groups for financial reasons is also another frequently mentioned justification for merging CP and PVE frameworks for operational, if not administrative, purposes. It must be noted, however, that there is less emphasis on the role of prisons and the link between criminal world and violent extremism in Swedish PVE when compared to the PVE of the other four Nordic states, especially Denmark. Under the authority and command of the Ministry of Justice, the National Centre against Violent Extremism (NC) has the responsibility to ensure cooperation amongst relevant local, regional, and national actors by drawing up cohesive strategies which are then to be implemented by municipalities at the local level and city or county councils at the regional level. In practice, however, the degree of autonomy for municipality and counties varies according to the size of their radicalized population. For instance, Gothenburg city council or Orebro municipality have more autonomy, and larger budgets, to initiate their own programs (or tweak the centrally-ordered initiatives) due to the possession of a sizeable number of radicalized residents. As a rule of thumb, though, county administrative boards are responsible for coordinating the local crime prevention across municipalities and police on regional level. Furthermore, there has been a close working relationship between various governmental agencies and ministries with their counterparts in other Nordic countries which have, albeit to differing extents, been grappling with similar issues and therefore offer experiences and insights that Sweden can learn from. A case in point is the reaction to the terrorist attack of 2017 in Stockholm: Sweden seems to have followed Denmark’s lead, introducing tougher measures that criminalize both support for terrorist organizations and travel to countries where such groups are known to have a strong presence. Furthermore, stringent measures regarding the right to a new passport were introduced, as well as increased checks on individuals considered a possible threat. More important still were the greater ministerial interactions on both a bilateral and multilateral basis that have occurred over the past two years. This has enabled key political decisions related to counter-terrorism and deradicalization to be discussed more regularly and coordinated with greater access to information at the highest levels of government. Multilaterally, there is a renewed focus on institutional cooperation within the Nordic Council, although this is still at an early stage and progress has been, in a typically Scandinavian fashion, painfully slow. The Nordic Network for Prevention of Extremism, which was established in 2015, and the annual Nordic Safe Cities gathering are both reminders of this tendency. The backbone of the Swedish strategy lies in its pedagogical elements, which rests on the public schools and civil society organizations like Fryshuset. Yet again, agendas are set, coordinated, and monitored centrally via the NC, which delegates the tasks of implementation and supervision to municipalities and counties. Of paramount importance on the state side is the tool devised by NC, called the Conversation Compass (CC), in its essentials a guidebook for teachers, social workers, and youth workers on probable signs of radicalization and how to proceed when these signs are observed. Consisting of three chapters, the first chapter of the CC specifies three levels of preventive work, entitled “general prevention”, “specific prevention”, and “individual prevention”, with each corresponding to an assumed level of urgency. CC’s second chapter provides tips on how to carry out interventions by engaging in dialogue with individuals who are at the risk of becoming radicalized, as specified in chapter one. The objective is to build a trustful relationship that can in turn catalyse a positive process of change. The third and final chapter explains the preparation needed to conduct a trustful conversation — namely attributes for the setting and so on. An example would be the specification that the parties are seated at the same level so they see eye-to-eye with each other and why that is important. Similarly, it advises on how to be an “active listener” and how to keep the conversation flowing while conveying the feelings of care and empathy simultaneously. More ambiguous is whether this conversation is supposed to take place on a voluntary basis or be compulsory for suspects. The civil society organizations work in close collaboration with the government and NC to run a number of programs and initiatives aimed at complementing the state’s efforts to educate imported faith communities in Swedish values and provide a viable avenue for those who have fallen into radicalism to disengage. The classic instance is Fryshuset’s EXIT program, which draws on its successful work with members of far-right. Individuals who join EXIT are assigned a contact person who is at their disposal 24/7, while their families receive ongoing support and advice on how to facilitate the re-entry of their radicalized relatives into society. Moreover, members are put in touch with, and mentored by, both professional social workers and, crucially, actual defectors — people who have successfully departed from extremist movements, who can share experience and exchange tips on how to avoid the temptation of reverting back to old habits. Fryhuset reserves the right to neither share nor register any information about those it works with and their past activities with the authorities. There is an obvious moral hazard in this, but such a practice is also potentially useful in securing the disengagement of some extremists who would otherwise remain within the movement to avoid legal retribution.